Researching ERP software can be a daunting task. After all, you’re looking for a system to help run your business. It will impact your customer service, how you manage your warehouse, your bottom line, and even your customers. 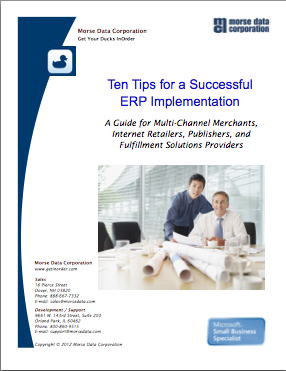 Here are 5 mistakes to avoid when shopping for your ERP system. Not knowing what you need – It’s important to know if the new system will improve your bottom line, how it can help increase and maintain customer satisfaction, if it can help attract new business, how you can use it to make your processes and personnel more efficient, and what resources it provides for future growth. Be sure you know how the new system will benefit your business. Not knowing how you will use it – Some people know their business needs a new system, but they might not know exactly what they need to do with a new system. If they don’t know their processes, what they need to help complete them, and any other features they’d like, they’ll likely end up disappointed and wasting time that could otherwise be used by making improvements. At worst, they’ll end up with a system that’s not appropriate for their business. Not preparing for demos – Initially, a demo might be scheduled to highlight the software without knowing any specific requirements. When real-life problems aren’t discussed, how would you (or prospective vendors) know what is needed for improvement? Not being prepared with problems you need solved and requesting vendors to demonstrate solutions means you cheat yourself out of criteria when it’s time to evaluate vendors. Not evaluating the vendors – Selecting a vendor is as important as selecting an ERP system. Don’t be so focused on the system that you forget to check out the vendors. If the vendor’s technical support and responsiveness isn’t also considered, you might be on your own. Be sure they are experts, professional, and available when they’re needed. 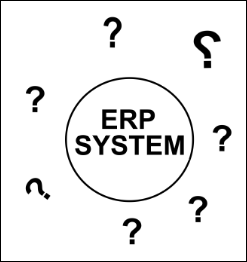 Unrealistic expectations – Some ERP shoppers don’t know what’s involved in selecting and implementing and ERP system. They’re asking it to do a lot, and it takes much commitment from everyone involved – including the vendor, the system, and the buyer. Not only during implementation, but for the life of the system. There are many times during the year when you send a mailing to a specific group of customers. 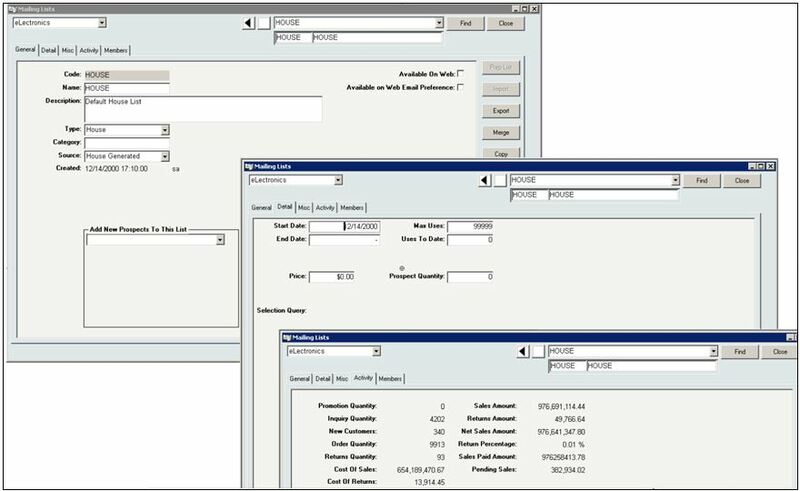 With the InOrder ERP system, you can send promotional messages to customers, create new lists, import lists from external sources, and even export your mailing list to a spreadsheet format. Catagorize your lists and assign customers to them. Use with the InOrder Address Validation interface to validate a batch of addresses within a specified range of U.S. postal codes. 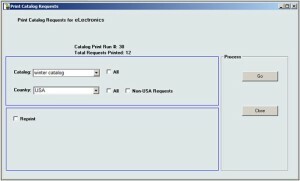 Automatically merge duplicate address records. Use with the InOrder Email Marketing Enhancement to send Email Blasts. Send followup notices. Define followup efforts that activate after a specified number of days. Import your own mailing lists with names and addresses. Import your own lists of Email address. Generate promotional keycodes as list segments are generated. Export your mailing list to spreadsheet format. 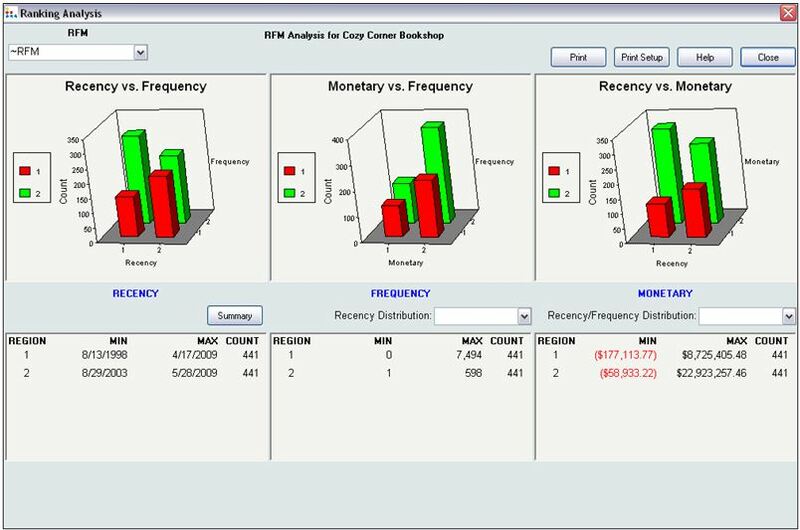 Simultaneously store an unlimited number of RFM scores for each customer. (Recency (most recent purchase date), Frequency (how many purchases a customer has made), Monetary (spending). 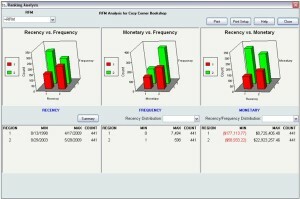 Group customers by RFM cells. Contact us for more information about mailing lists and marketing with InOrder. In its 2016 Pulse of the Online Shopper Study, UPS provides insights for eCommerce businesses as they plan their strategies for growth. This study explores online shoppers and how they have “Evolved.” Their shopping cycles are represented, showing a strong promise for future buying power. Included are discussions of new technologies they’re interested in, how and where they shop, and what retailers must provide to win them over or lose them. Devices are explored, with smartphone shopping showing the most growth. As technology (and retailers) make it easier and faster to use smartphones for shopping, satisfaction with them increases, fueling faster growth opportunities for businesses that support them. Search habits are also shown, revealing that shoppers prefer to begin searching on marketplaces. According to the study, 90% of independent online retailers sell through them, and shoppers prefer them for product/shipping pricing, quick delivery, product selection and availability, and more choices in one place. Also mentioned are shopping trends, along with “cross-channel purchasing,” (where shoppers research vs. where they shop), and how social media influences shopping. Shoppers revealed that they want to help themselves, but they also want help (such as Q&A, FAQs, chat, etc.) to always be available when they need it. Unfortunately, it doesn’t sound like many retailers provided those services. Hopefully, many will respond to these requests. As can be expected with online purchases, returns are higher. While many shoppers prefer to drop their returns off at carrier locations, many also prefer to take their returns to a physical store. This provides opportunities for retailers to make these experiences easy for shoppers, who might make additional purchases while making their returns. UPS has also conducted its sixth annual study of online shoppers, which includes five volumes. This link provides a download to Volume 1, which includes information to request future volumes. Shoppers want control and flexibility. They want helpful responsiveness when they need it. They want fast searches, large selections, quality products that are available, and quick, low-cost delivery. They want access, coupons, and notifications without intrusion. Use this valuable information to help you make decisions for winning these “Evolved” customers. And, in doing so, grow your business. 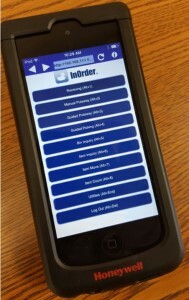 Contact us for a demo of how InOrder can help you implement the features so many shoppers demand. Selecting a vendor is as important as selecting an ERP system. ERP vendors must be experts in their field and, to an extent, yours. They must also be professional and available when you need them, and provide clear communication to keep you informed of important changes. 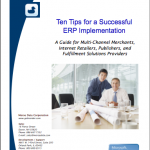 Here are important things to consider about potential vendors when evaluating ERP systems. What is the implementation process? Is there a dedicated Project Manager who is readily available? The implementation of an ERP System is a large undertaking that needs careful planning with the proper time and resources allocated to avoid surprises during Go-Live. Since this is not something your company does on a periodic basis, a number of unknowns could end up causing you a lot of unnecessary problems and expense. Be sure the vendor has plenty of experience. What is the vendor’s availability for support? 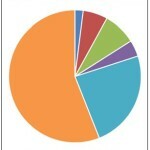 This indicates how responsive the vendor will be when you have questions or need assistance. How often is the system upgraded and what is involved? It is important that your system always has the latest updates for security and functionality – without disrupting your business. What about references? Request them and follow up on them. Reviews for vendors are as important as they are when shopping online. Experience with your industry is a plus. What types of communication are provided? Notices of updates are important for security and training, as well as details about what’s in each update. General information about the system is always helpful, and of course, documentation on how to use the system is a must. It is beneficial to you when the vendor is actively in touch and keeping you informed. Make sure you can work with the vendor to get what is important to your business within a specific time-frame. Top-notch support is key. It takes commitment – not only during implementation, but for the life of the system. To help with a smooth implementation, follow these tips from things we’ve learned over the years. And when you’re ready to check out ERP systems, contact us for a free demo of InOrder. This article compares increasing eCommerce sales to the housing market bubble. It discusses loss of sales in the checkout process that merchants might know about, calling it a new “big short.” The article continues to explain where the sales breakdowns occur, including the checkout process, consumer confidence in the merchant, and how payment declines are handled. 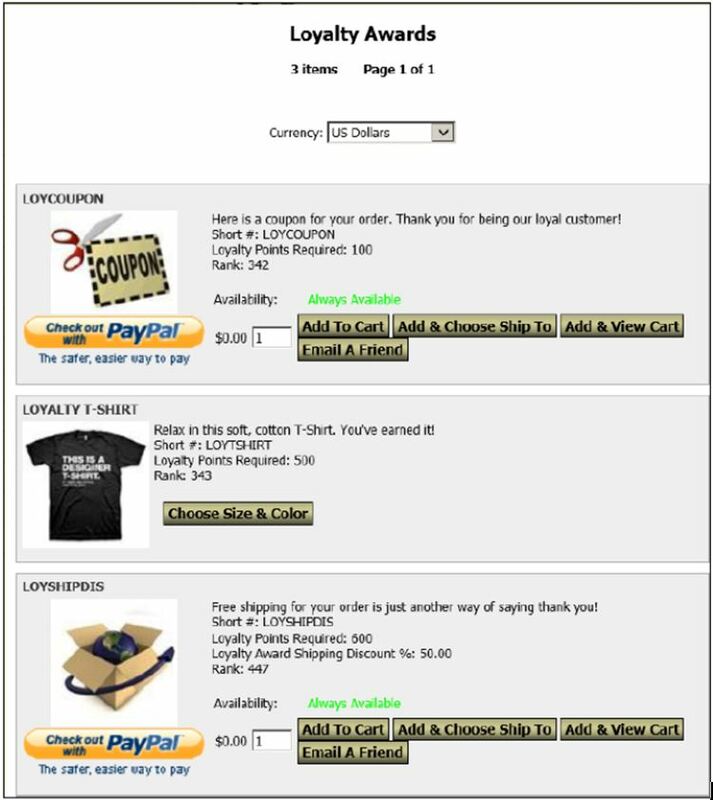 Checkout process – Keep it simple. Show your shoppers the checkout flow to let them know what to expect. Keep it efficient with as few steps as possible. Giving customers an up-front shipping estimate, or the option to bypass registration (when appropriate) can eliminate some of the breakdown at checkout. Trust – This is a big deal. Customers don’t want to think about security – they want you to. And if you’re not easy to contact, they may go elsewhere. It can be complicated for any business to keep up with all the cyber attacks and payment fraud going on around us, but you must be vigilant. Keep up with your PCI DSS requirements, have a security process and an incident response plan, and train your employees on them. A good ERP system can help with features such as fraud scoring, and it will support your PCI DSS efforts to keep your sensitive data safe. Make sure your customers can reach you immediately with any questions. Display your phone number where it can be easily and quickly seen. If a shopper has a question or problem navigating your site, make sure you can help. Keep Customer Service always at your customers’ fingertips, and make sure your customer service reps can pull up the customer’s shopping cart, edit it, and help the customer get through checkout if necessary. Payment Declines – This is when knowing your business and your customers is so important. While you can detect patterns that are typical of fraud, you may also be flagging valid transactions, especially if you do business internationally. Know Your Business – Where are your transactions failing? Put a process in place to check your data regularly, and follow it. 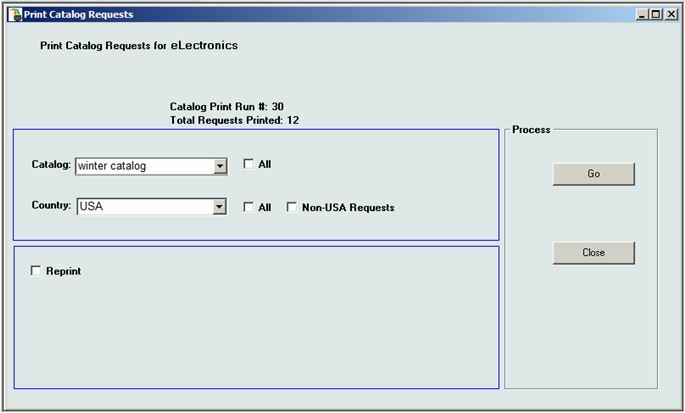 Review the tools from your payment gateway(s), Google Analytics, and reports from your ERP system to see what might be causing a problem. And use these suggestions to recover up to 30% of abandoned carts with Email reminders. Use your data to your advantage by making adjustments where they’re needed. It’s your business; be aware of it. Don’t bet against yourself. We know that if shoppers can’t quickly find what they are looking for on your website, you may as well not offer it, because they will often just give up looking for it, or worse – they will go elsewhere. Giving your customers more options may help them find your products faster. Web store searches are usually designed by product hierarchy, which is a popular setup. Items are grouped into levels that open as you click to drill-down further. The problem with this is that it’s like going from one room to the next – you usually have to backtrack to enter different rooms. With searches that are designed by product hierarchy, a shopper must keep returning to the “front door” to start looking for the next product. Facet Filtering helps customers fine-tune their search results as they search. Shoppers can make additional selections within current search results based on their individual interests, eliminating the need to sift through too many results all at once. It provides a lot of power for minimal setup. An example of a search facet can be anything such as color group, size, manufacturer, price range, or whether or not a special feature is included. 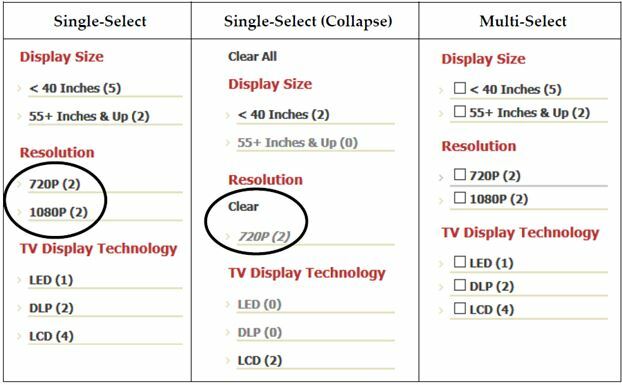 Different Facet Types may be used: Single Select, Single Select/Collapse, and Multi-Select. When Single Select is used, facets appear on the website as links. Only a single facet may be selected per category. When Single Select/Collapse is used, facets appear on the website as links. Only a single facet (subcategory) may be selected per category. When a selection is made, the facet list collapses to only show the selected facet. 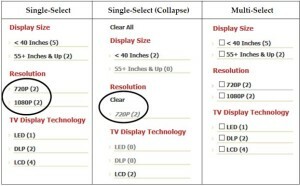 With Multi-Select, facets appear on the website as checkboxes. Multiple facets may be selected for each category. 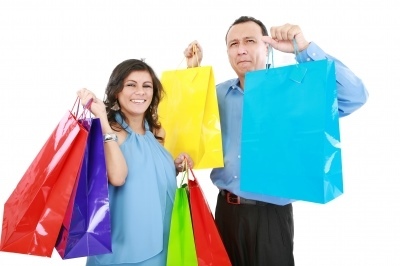 Rather than limiting your customers, give them as many ways to shop as possible and let them decide. Then check your analytics – use your InOrder reports and Google Analytics – to learn how your customers shop. InOrder’s superb flexibility allows modifications on the fly, so you can set up products to match how shoppers are searching for them. 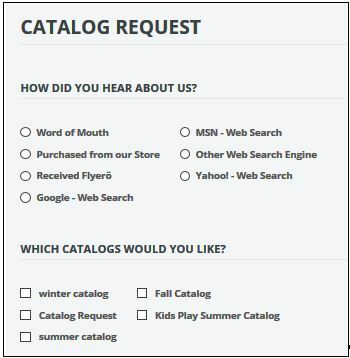 Our most notable feedback from merchants using InOrder’s Facet Filtering on their website? Customers frequently searching for products starting with unexpected facets, such as Manufacturer rather than starting with a basic product category. As it turns out, customers often have their own plan they want to follow, and will be more likely to buy what they need on your website if it is flexible enough to let them follow that initial plan. Finally, accommodating customers’ plans to find their first item will shorten their initial “Add to Cart” times. But customers also can get frustrated if their direct path to the next item they need requires “starting over.” Can they easily edit existing facet filters after placing an item in their cart? If they spent several minutes building a filtered list and now they need three more items from that list, can they add them all or do they need to rebuild the list three more times? Better yet, can they tweak the existing list if needed, without restarting it from the beginning? Check your analytics here as well, to confirm there are no patterns of extra steps they had to take to get to the next item, vs. steps they took on their own due to actual browsing. With this approach, your abandon rates will be lower than ever, but more importantly, your eCommerce revenue will be better than ever.